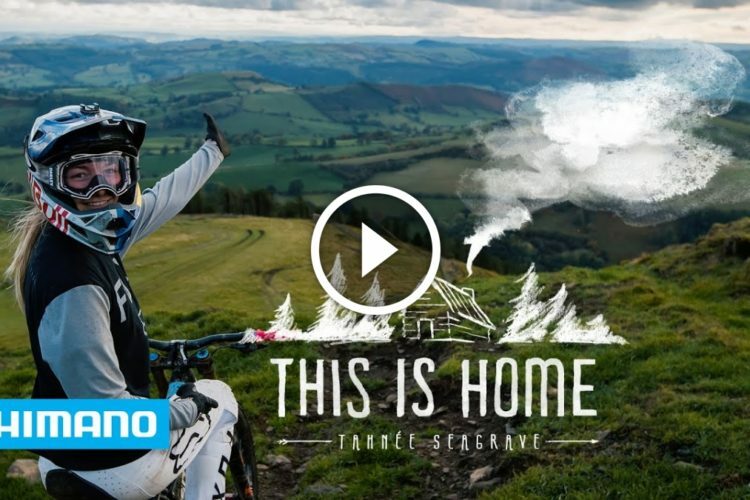 TRP has the responsibility of slowing down the world’s fastest man on a DH bike, Aaron Gwin. 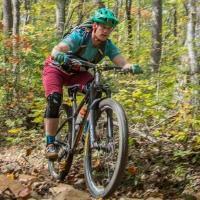 During his career, Gwin has raced for Yeti, Trek, and Specialized. 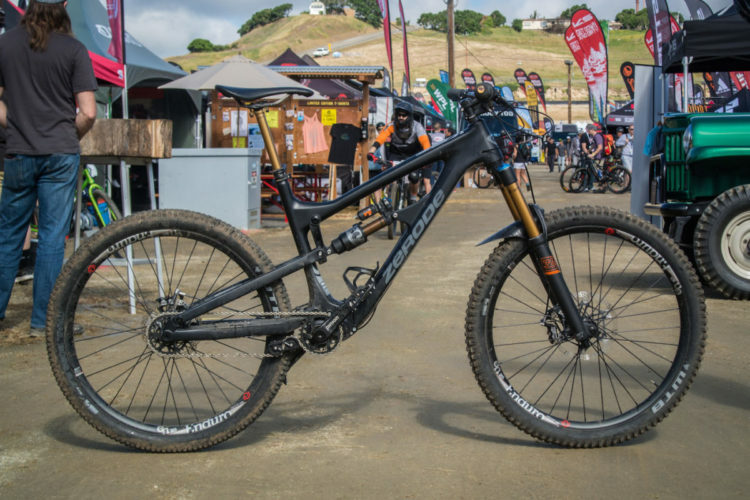 After the 2015 race season, Gwin surprised many by leaving Specialized to build his own team, starting with bikes from YT Industries. 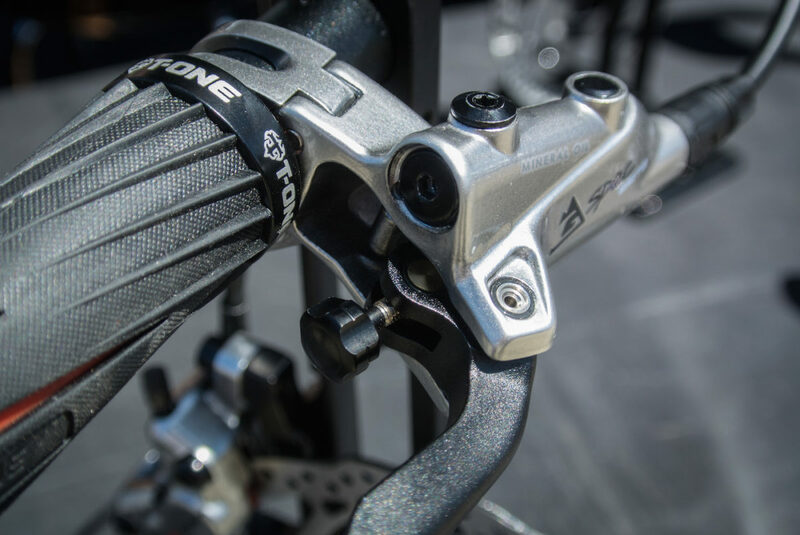 Among his new sponsors, Gwin chose TRP for brakes. 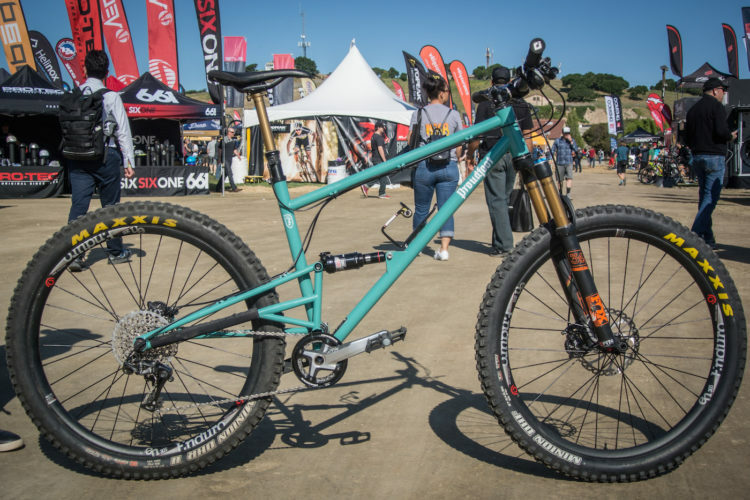 TRP already had a downhill brake in their line – the Quadiem – but over the past year they’ve worked with Gwin to refine it. The result of that collaboration is the G-Spec Quadiem. TRP gave Gwin carte blanche to make changes to the Quadiem, and he made numerous tweaks. To eliminate the slight pad play inside the caliper, the Quadiem gets tighter tolerances with a new forging and machining process. 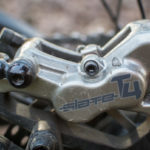 That slight wiggle was something I felt on the set of Slate T4 brakes I recently tested. They also sport a new composite piston design to help keep the mineral oil from overheating. 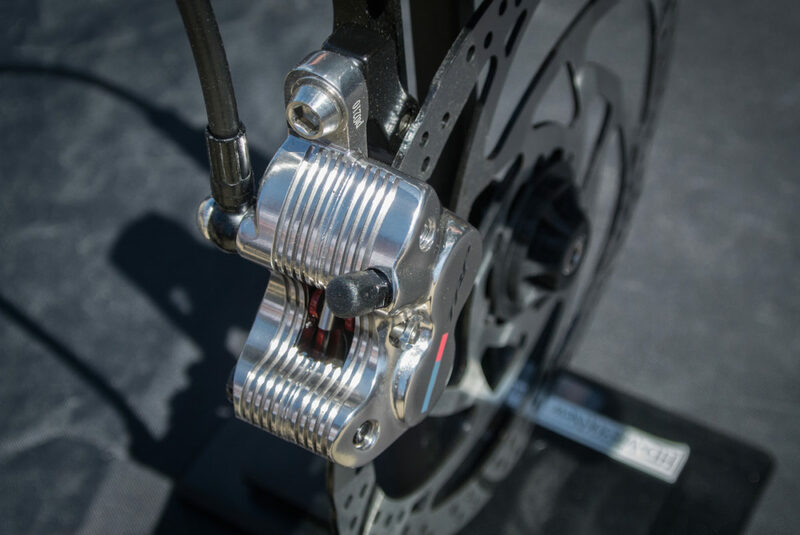 To further aid in cooling, the back of the caliper body has cooling fins machined into it. 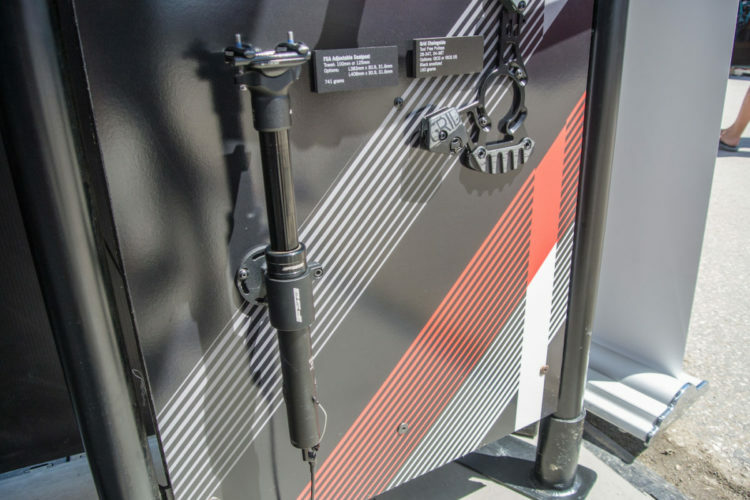 The lever blade is new as well, designed to Gwin’s specs. The blade is quite broad on its face and is drilled out to improve grip. 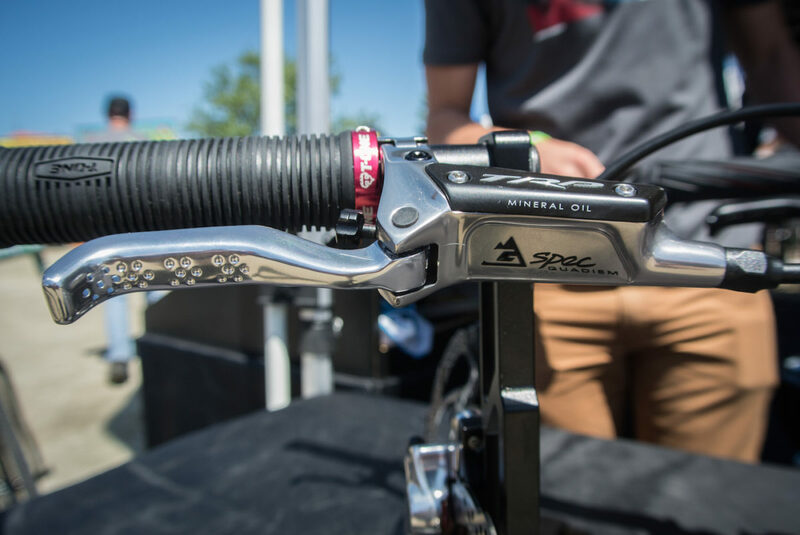 A tool-free reach adjust with detents is now included to set the lever position. 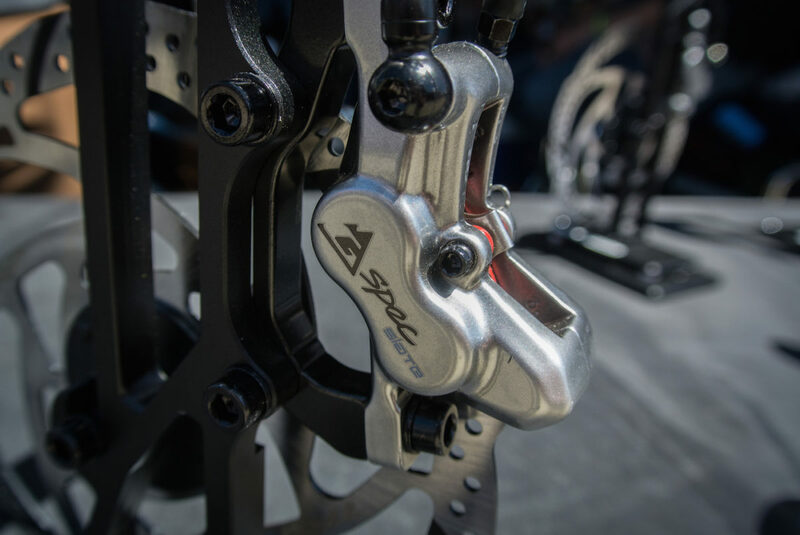 The lever is compatible with both Shimano i-Spec and SRAM Matchmaker mounting options. 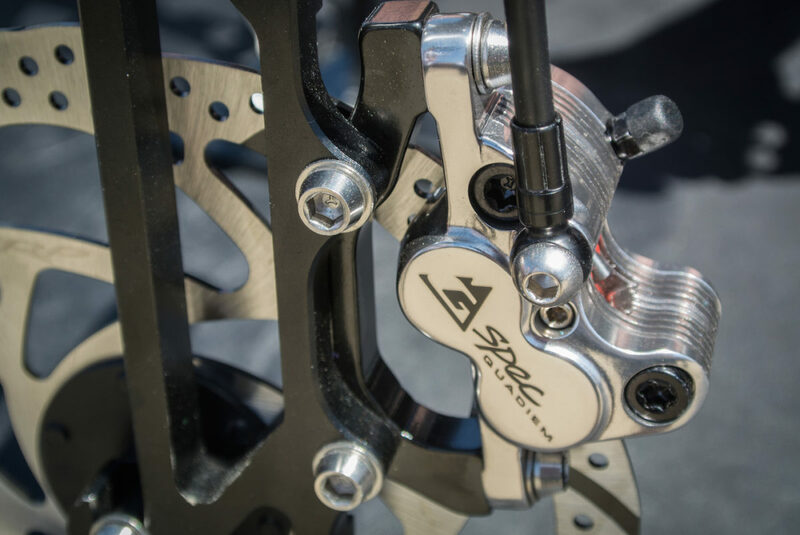 TRP finishes the brakes by polishing and anodizing the lever and caliper to a mirror-like finish. 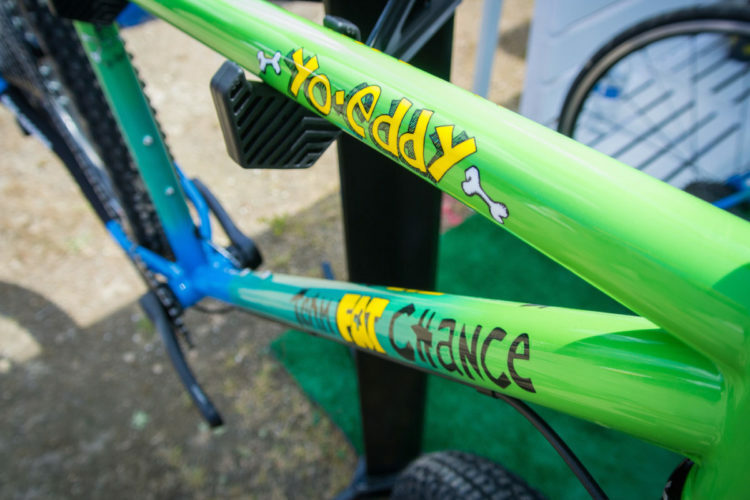 They are a good looking set of brakes. 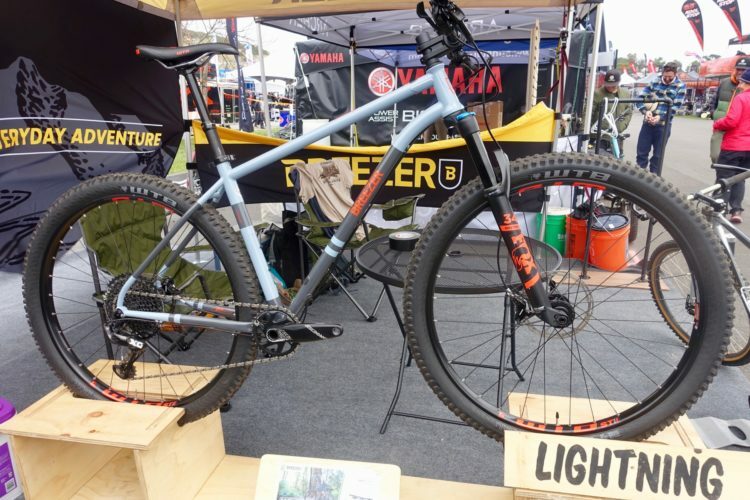 I briefly rode a bike equipped with the G-Spec around the venue, and they are brutally powerful. Retail price for the G-Spec Quadiems is $199 per wheel–impressive for this level of brake. TRP offers the standard Quadiem as well, which has many of Gwin’s tweaks but is painted instead of polished. Those retail for $149. 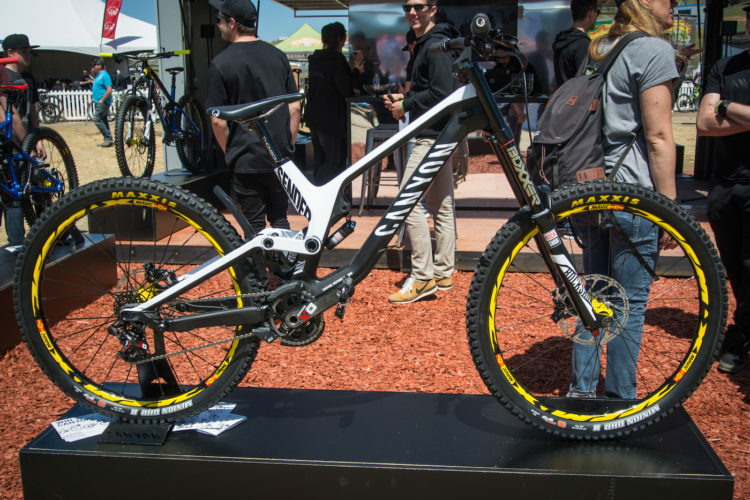 The Quadiems aren’t the only brake to get the Gwin treatment. 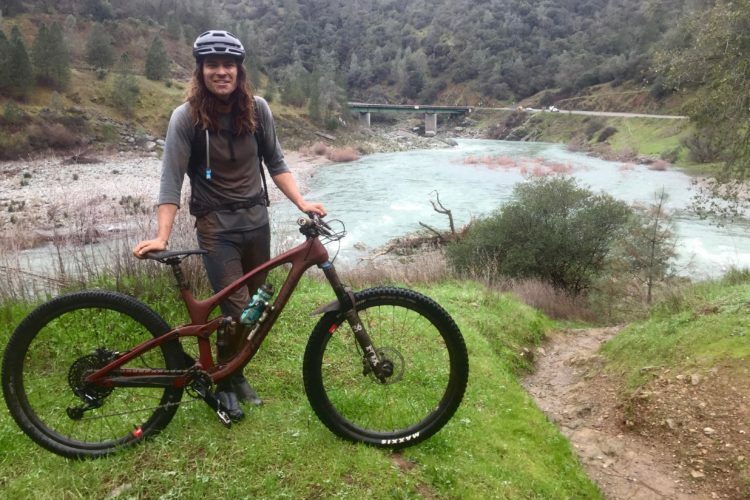 The G-Spec Slate improves upon the Slate T4 trail brake I tested, with many of the same upgrades including: revised lever blade shape, tool-free reach adjust, composite pistons, and polished finished. 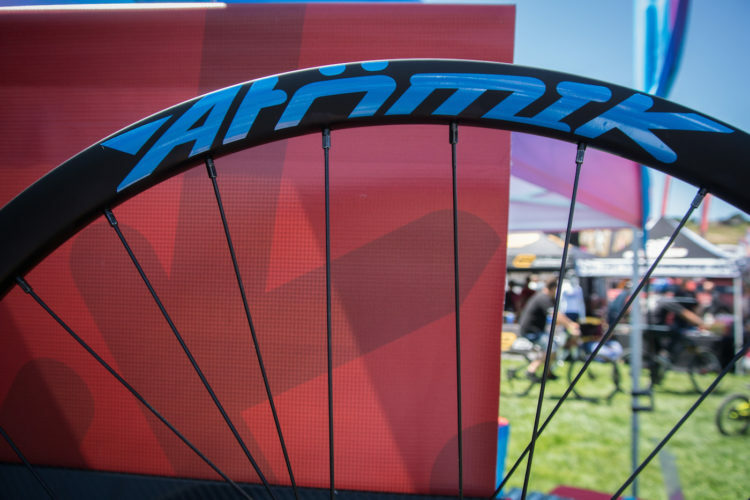 Pricing is $150 per wheel.